The grocery competition for local and small chain grocers and stores has never been greater. Amazon has acquired Whole Foods and has been trying to set a trend for online grocery shopping while slashing prices. Walmart has been experimenting with grocery buy online pick up in store (BOPIS) and grocery delivery via Uber. Target recently started testing curb-side pickup for groceries. Aldi’s is making great waves in the low-cost grocery market, and Lidl, the new chain from Germany that’s been causing an international sensation, is beginning to build a footprint in the United States. Consumer tastes are demanding more variety. The popularity and variety of food products available on the market is shifting, and many of the new items are specialized, niche products. The “buy local” movement has become more prevalent. Organic is growing in popularity, where used to be some fringe interest. Now more and more people want to know where their food comes from, and the organic market is growing every year. That’s where Lidl is hoping to make its splash and give some grocery competition to Whole Foods and Trader Joe’s. But Walmart is also increasing their organic selection, which has had a major impact in the growth of the organic food business (and may cause prices to come down to a more reasonable level for the average shopper). International products, high-protein products, GMO-free and gluten-free products have exploded as well. Millennials shopping behaviors are different. Millennials are a force to be reckoned with in the grocery market. They focus on the price, as well as the convenience, but available services can have an impact. That’s the way the grocery space has to be managed — people can shop the way they do in retail, and choose wherever you want to go based on price. That means taking to their phones to find the best deals and then ordering online. They also tend to like fresher foods, as opposed to pre-packaged goods, and support locally grown produce initiatives. Technology is transforming how we shop. Omnichannel and grocery are colliding. Stores like Walmart are now offering online ordering at local stores, where, if you order $50 or more, they’ll pick your items for you and bring them out to your car (less than $50, there’s an additional fee). One of our colleagues has said she sometimes orders more than she needs just so she can take advantage of that $50 cutoff so she doesn’t have to get out of her car. And if they don’t sell these items in their stores, they’re beginning to offer them as a buy online, pick up in store (BOPIS) option, in the hopes that people who place the orders will come into the store and end up buying more groceries. We wonder what will happen to these aspects of retail shopping services if Amazon ever figures out how to do drone shipping. Grocery delivery is making a comeback. We’re also starting to see grocery deliveries to homes increase. For years, the only big name in grocery delivery was Schwann’s, the yellow refrigerated trucks that bring pre-ordered frozen foods to your door. Now they offer online ordering, so you can decide what you want a couple days in advance. And there are other companies that are starting to copy that model, which makes us wonder, how far are we from grocery stores creating their own delivery systems? Especially now that Amazon has acquired Whole Foods. Luckily, other grocers don’t need to learn how to do this – yet. There are services like Instacart where people can place an order online for the items they want, and Instacart will bring the order from the store to their house. Grocery stores only need to plug in to the Instacart system, and then promote the offering to their customers whenever they’re in the store. With the Amazon-Whole Foods situation, though, who knows how the grocery delivery services market will change – and how grocers may have to respond. Expansion of inedible general merchandise. Just as retailers have been pushing into the grocery market, grocers have been pushing into the general retail merchandise category. More and more clothing, toys, school supplies and other products are appearing in grocery aisles. Many grocers have started to sell local high school, college, and even professional sports gear to help support their communities and make a few extra sales. Grocery retailers haven’t been very motivated to make major changes in how they do business, but the evolution of how consumers buy goods is forcing the industry to change – likely much faster than it’s comfortable with. But change they must, and as quickly as is feasible. Here are five ideas for how grocers can keep moving forward in todays age of the Amazon effect. More trading partner collaboration. Retailers and suppliers are working together to identify opportunities and needs for improvement; grocery stores can also benefit from more collaborative relationships with vendors and other trading partners. Produce suppliers may be aware of upcoming special deliveries, like an incoming golden raspberry crop or a newly introduced apple variety. A consumer packaged good manufacturer may have identified a regional trend in consumer buying habits that could help a local grocer capture more sales. Good relationships between trading partners can ensure timely shipments that reduce spoilage and ensure products make it to the sales floor rapidly. Take advantage of technology to accelerate sales. You don’t need to incorporate drone deliveries into your available services, but use technology to your advantage where you can. Employ an omnichannel strategy to be where your consumers are. Consider undertaking the upgrades needed to make at least BOPIS a possibility at your grocery stores, if not curb-side pickup. Creating your own delivery service might not be an option, but partnerships with Instacart and other similar services could be beneficial. Product information, supply chain visibility and inventory accuracy are also a must to ensure the success of all of those efforts. Use data analytics to gain insights. Data analytics offer actionable insights that can help you identify patterns trends in sales to make better forecasts for purchasing in the future. The sales information could prevent you from over-ordering on perishable produce or make sure that you have plenty of a particular product when the data indicates the likelihood of a surge. Increase efficiency, reduce waste and decrease friction. The technology that helps you keep up with consumers can help you become more efficient in capturing sales. Data analytics can help you reduce waste and costs. Other technology can help you increase efficiencies and reduce friction. 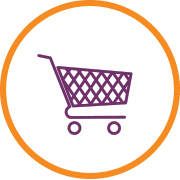 For example, an EDI solution for grocery can speed up order processes, eliminate manual data entry needs and support omnichannel strategy efforts. Finally, be mindful of how grocery store real estate is used – brick and mortar locations will always be a necessity due to the nature of food-needs, but there is an abundance of grocery store square-footage per consumer. Watch this blog in the near future for a post about extracting as much value out of the stores you already have, before you consider expanding your brick-and-mortar footprint. Engage shoppers and encourage customer loyalty. Loyal customers make repeat visits and spend more with your stores over time. Good experiences and incentives can keep shoppers engaged and encourage customer loyalty. Consider ways to engage with consumers, including apps, social media, value added services such as BOPIS, curb-side pickup or delivery. One thing to think about is the popularity of boxed meal subscription programs such as Blue Apron. Kroger has recently rolled out it’s own box meal services, too. Offering your own subscription program could take some planning, but implementing one would would take advantage of a trend growing in popularity, generate consistent income monthly and make some inventory needs predictable. Grocery stores haven’t needed to change a lot over the decades, but the shift in the industry landscape and transformation of consumer expectations mean grocers must evolve. 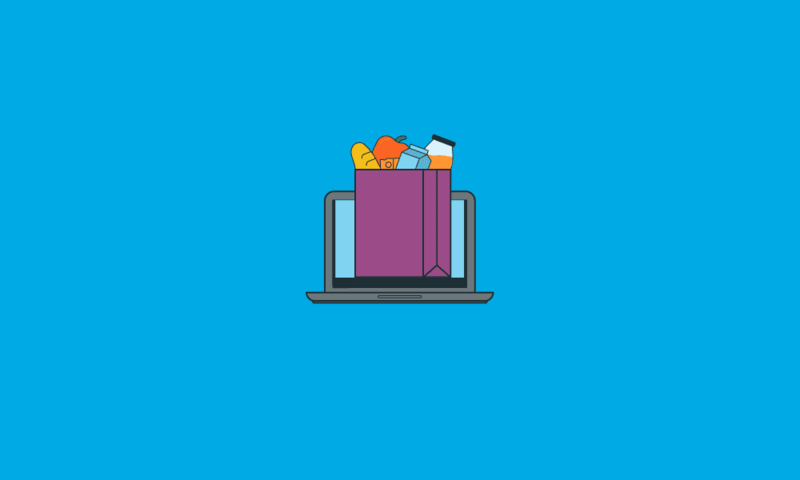 Grocers need to think more like retailers and consider how online and omnichannel sales can help them capture more customer attention and revenue. Peter brings more than 15 years of experience in product development, marketing and business development in enterprise, mobile computing and consumer internet businesses. At SPS Commerce, Peter leads the product strategy and marketing programs to support the company’s growth and presence in the retail supply chain market. Additionally, he serves as an advisory board member for two consumer web service firms, Glad2.com and SquareHub.com, where he focuses on branding, positioning and message development.